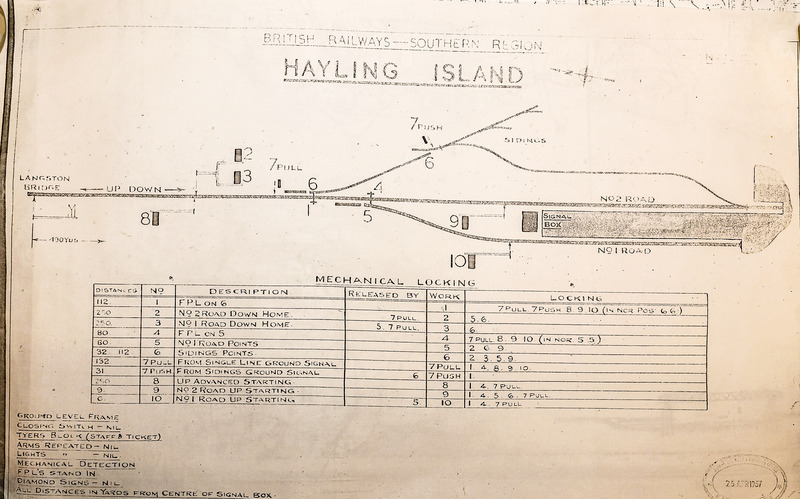 This diagram shows the track and signalling controlled by the small signal box at the end of the station platforms. It associates the levers in the signal box with the function they control. The points in the sidings were operated by single levers close to the points.